I had a bit of time to kill before picking up my little girl from school yesterday so I went shopping. I am glad I did because I found an amazing deal at Gap. I don't shop at Gap very often since they do not carry petite sizes in stores. 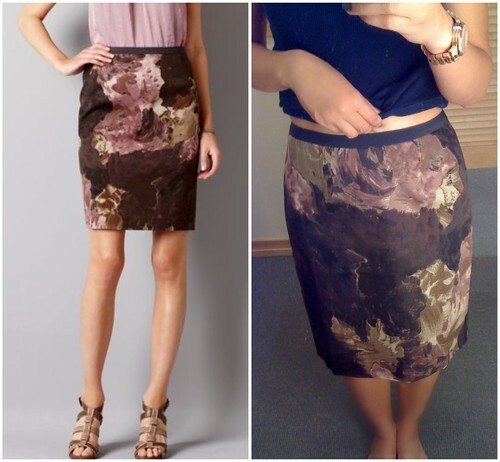 However, once in a while, I found items at rock-bottom prices that I am absolutely love (remember this post and this post?). Another item on my fall wishlist is a rust colored blazer after seeing one on Kelly. I saw this Gap point-lapel blazer when I first walked in the store but didn’t bother to look. I thought for sure it is still full price because of its color. After browsing through the sale section and couldn’t find anything, I came back and looked at the price tag out of curiosity. I couldn’t believe my eyes that the blazer got marked down to $19.99 (was $98.00). Yesterday, Gap offered additional 40% off sale items in stores. I also had a $10.00 reward card. Yes, I paid a grand total of $2.00 for this beautiful blazer. While at the mall, I also tried on a few items but didn’t end up getting anything else. LOFT is also having additional 50% sale items promotion this weekend (in stores only). 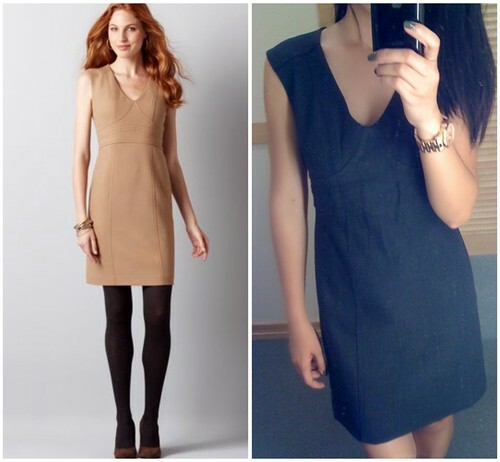 Here are some fitting room pics for items that I tried on previously. I hope you all have a great weekend and happy shopping! i love the color of this blazer and what a great deal you got on it! i'm definitely gonna have to stop in Gap while i'm at the mall this weekend. what a great deal you got on the coral(ish) blazer!! Looks beautiful on you!!! What a major score!! YAY!! You are so lucky you are tall (and longer arms) enough to fit into the reg. sizes!!!! Wow I really love that blazer! What a crazy good deal! Do you need a special coupon to get the additional 50% off? If not, I am SO going to run to the Gap today!! 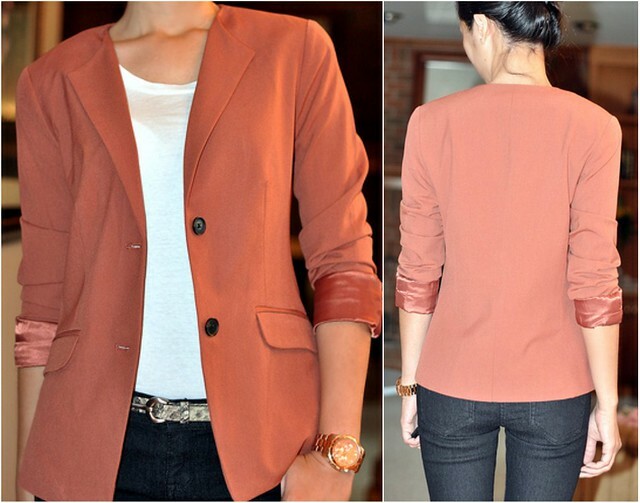 I love the color of the Gap blazer! Well the Gap at my mall didn't have any of those great rust colored blazers left, but I did get a few cute tops! Thanks for alerting us about the sale! The blazer is so cute, though I didn't see any yesterday when I went to the mall. I might check out my closer GAP today and see what I can find! 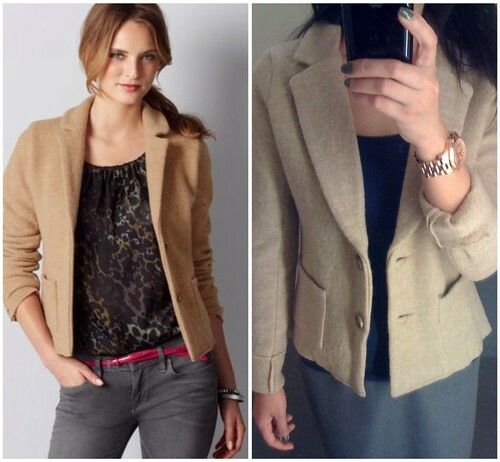 I wasn't too pleased with the color of that LOFT camel blazer when I saw it in person..much lighter than I thought it would be! You got a great deal on all of these items and I cannot believe that rust coloured jacket was only $20! 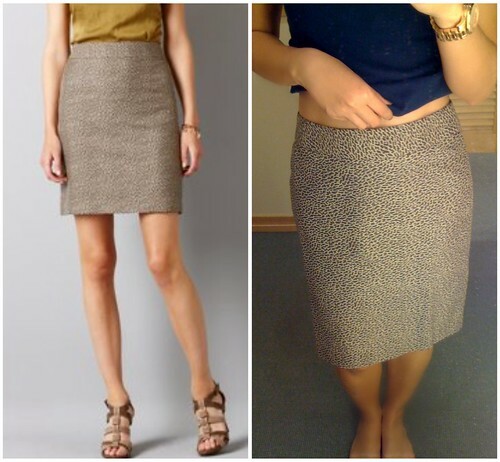 I have the dried leaves skirt from Ann Taylor Loft, but I didn't get 50% off, 40% during Labor Day weekend. Thank you for stopping by and glad you enjoyed the Chicago fno pix, I was good and refrained from buying anything...I do have a few things I want. I LOVEEEEE THAT BLAZER ! !